As a senator from Delaware for 36 years, Joe Biden was a leading architect of domestic policy on some of the most pressing issues facing the country. 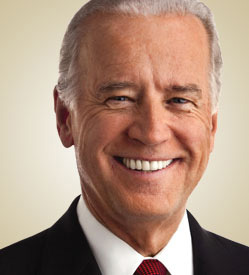 Then-Senator Biden served as chairman or ranking member of the Senate Judiciary Committee for 17 years, and was a preeminent voice on criminal justice issues, including authoring both the landmark 1994 Crime Act and the Violence Against Women Act. Biden has worked relentlessly since the passage of the Violence Against Women Act in 1994 to change the culture around domestic violence and sexual assault, and to protect and strengthen victims’ rights. As vice president, Biden also chaired the Middle-Class Task Force, an administration-wide effort to improve the everyday lives and livelihoods of working men and women and oversaw the administration’s Skills Initiative to improve federal workforce training programs. He authored “Ready to Work: Job-Driven Training and American Opportunity,” a report to the president on how best to ensure American workers are trained for the jobs of the 21st century. Biden also led the administration’s efforts to implement meaningful reforms to reduce gun violence in this country, which resulted in federal actions aimed at strengthening the background check system and addressing mental health issues linked to gun violence, among others.